Intermap’s 3D foundation data layers provide the framework necessary for governments and business to make informed decisions and find intelligent solutions to their planning challenges. Our comprehensive elevation suite offers some of the most homogenous imagery and accurate elevation products on the market. 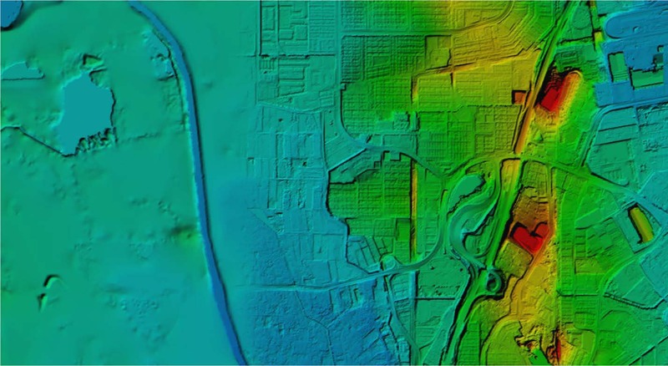 High-resolution LIDAR (right) seamlessly fused into a lower-resolution base map (left). Profile. Accurate point-to-point terrain profiles anywhere in the world. Profiles can be run over either a DSM or DTM with features, such as buildings and tress, removed. Profiles consist of 3,000 points over any distance across a city or across an entire continent. Viewshed. Perform visibility analysis from 1km to 100km in radius, clearly showing obstructions. Viewsheds can be run over either a DSM or DTM with features, such as buildings and trees, removed. Point Values. Fast results for up to 20 locations at a time, showing height above sea level, height of vegetation, land cover, slope, and aspect. Clutter/Land Classification. 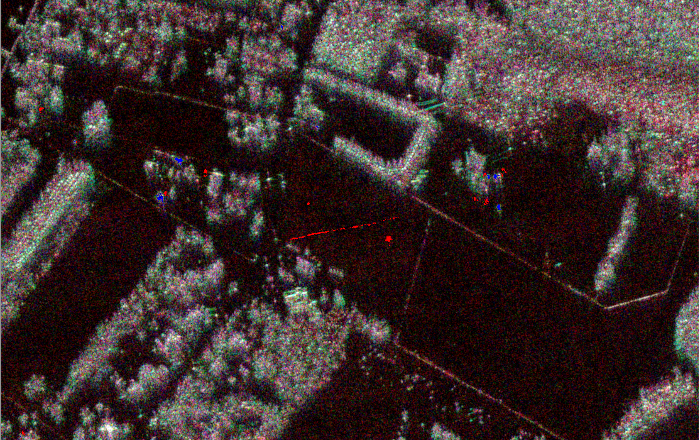 Streamlined land classification shows colorized profile and includes both clutter type and height. Clutter type information is classified into categories including bare earth, light and heavy vegetation, urban, roads, and water. Contour Maps. Contour maps show an alternative view of our DTM data, providing a visual aid to performing profile analysis, elevation identification, slope indication, or to create detailed maps. NEXTMap Contour is available off-the-shelf at 10m internals, but custom contours can be created for your area of interest (AOI).